Bring the outdoors in with our Cactus Pillow! Based on the beautiful saguaro cacti of the southwestern US, this handmade pillow will add charm and color to your bedroom, office, or kids room! 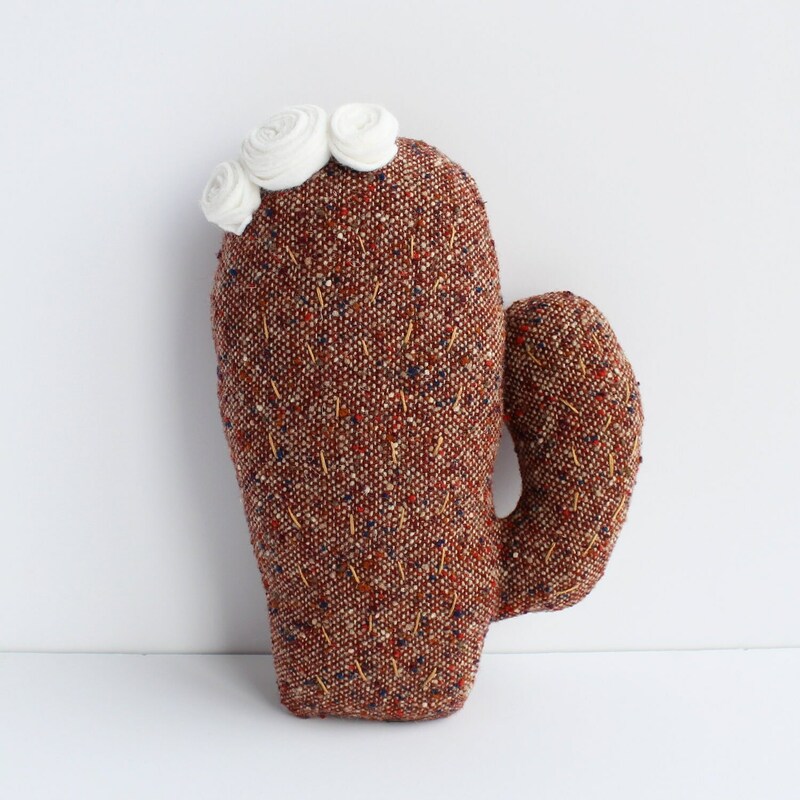 Take one as an accent pillow, or grab a couple to make your own field of cacti! And you can feel even better about taking it home because we've used upcycled fabric to create this one-of-a-kind pillow, stuffed it with eco-friendly biodegradable filler, and topped it with flowers created from american-made wool. Hand embroidered with subtle mustard threads.